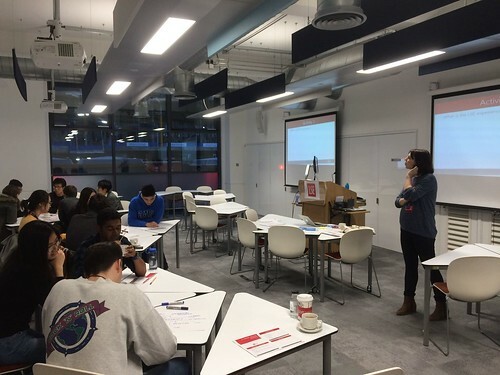 LSE LIFE Learning Developer Jenny Stowar describes how an idea from two undergraduate students has led to the launch of the new Student Academic Mentorship programme and tells us more about the training Student Academic Mentors from four LSE departments have received from LSE LIFE. This year in LSE LIFE we are piloting a new student-to-student undergraduate mentoring programme, Student Academic Mentorship (SAM), with the departments of Social Policy, Economics, Statistics, and Geography & Environment. This is an exciting project for LSE LIFE as it is entirely undergraduate focused, a section of the student body that has proved harder to reach to date. The programme was initiated by two undergraduate students from the department of Economics and, as such, can be said to be designed by undergraduates, for undergraduates. Student-to-student mentoring is not a new model and has been successfully implemented in a significant number of other universities across the world since the original model of ‘Supplemental Instruction’ first developed in the 1970s in the University of Missouri, Kansas City. Equally at LSE there are a few departments that have introduced small informal mentoring opportunities. 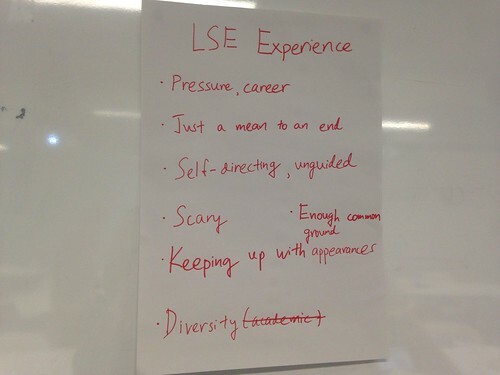 The LSE LIFE pilot is an attempt to coordinate and evaluate the effectiveness of programmes such as this more fully, in order to assess the impact that such a programme can have on the student experience at LSE. SAM is centrally coordinated by LSE LIFE but with the aim that as much as possible the programme is student-led and department-owned. The SAM mentors (SAMs) are trained students in their second or third year who want to help other students at LSE from the same department, and give something back to the university. The aim of the project is to build stronger collaborative communities within departments, breaking down any barriers between the individual year groups so that the students involved gain a greater engagement in both university life, and their academic work, facilitated by peer-to-peer support. The SAMs’ knowledge and experience of the university and their department means that they are in a good position to answer questions, support students who may be having issues with the transition to university, and provide helpful advice on areas such as revising for exams, writing essays and keeping up with their reading. The first group of new SAMs have been recruited within the departments over the last few weeks. They then attended an afternoon of training with LSE LIFE on 9th November to complete the process and become official mentors. This training offered the SAMs the opportunity to meet each other and get to know their fellow volunteers from different departments. 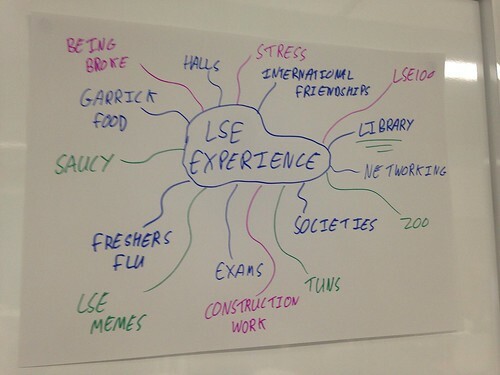 SAMs were asked to reflect on the ‘LSE Experience’ and what many of their mentees will be facing in their first year here. Later in the session the SAMs were asked to reflect on potential styles of mentoring and where their own style of mentoring may fit in to the process. Other topics covered in the training included how to facilitate discussions, how to communicate effectively with mentees, how to help mentees move from a fixed to a growth mindset, and how SAMs can maintain their resilience throughout the process. SAMs have now begun contacting their mentees and many meetings have already taken place on campus. This is an exciting time both for the programme and for the School and we are looking forward to hearing the reflections and evaluations of both the mentors and mentees at the end of this pilot year, with the hope that, moving forward, this opportunity can be expanded to more departments next year. Any departments interested in the possibility of setting up a student to student peer mentoring programme can contact LSE LIFE: lselife@lse.ac.uk for more information.